A stunning recreation of the legendary Golden Hind - captained by Sir Francis Drake - that circumnavigated the globe from 1577 to 1580. Launched in 1577, the Golden Hind was an English galleon captained by Sir Francis Drake and is probably best-known for circumnavigating the globe between 1577 and 1580. 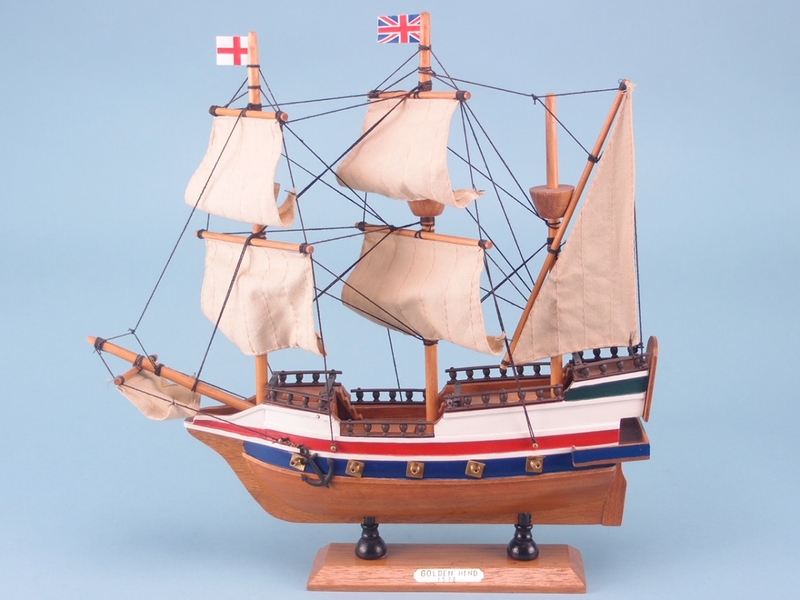 This incredible model measuring 33cm in length by 33cm in height is a wonderful recreation of this legendary vessel. 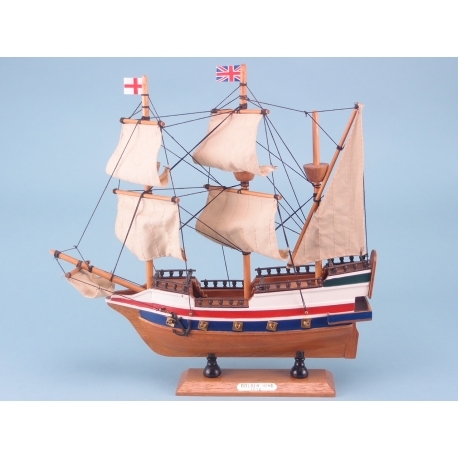 Hand-crafted and decorated, the model sports real fabric sails, exquisite detail and sits atop a wooden stand that is adorned with a metallic name plate. Anyone one looking for a piece of nautical history will not leave your client's store disappointed.